Handmade Beautiful Bracelet with Superior Quality Freshwater Pearl 5 strnds Bangles Bracelet & Matching Earrings. Cream Ivory Freshwater Pearl Bangle Bracelet & Earrings. 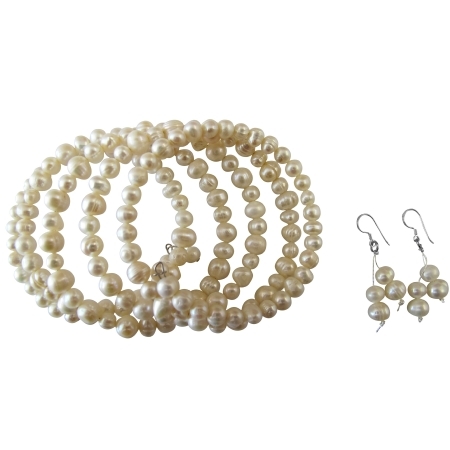 Absolutely beautiful Freshwater pearl bracelet with matching earrings all A Grade Pearls are used to make this Gorgeous Bracelet & Earrings Set Wedding Jewelry Bridesmaid Collections theme of Gift with very high & classy quality of Freshwater Pearls & look sophisticated.